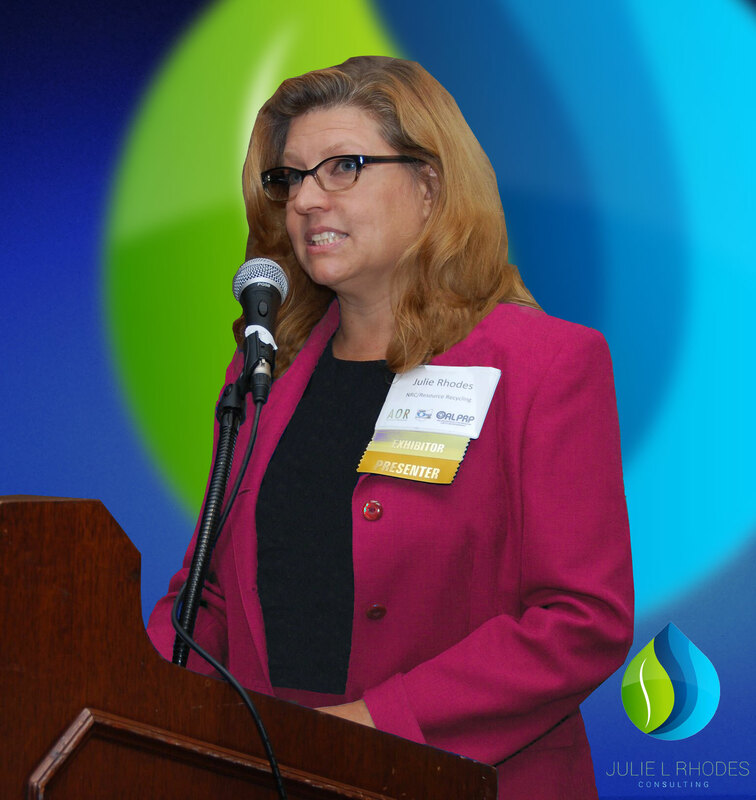 Julie L. Rhodes is an independent consultant specializing in environmental, animal welfare and local food projects for business, municipal and non-profit clients for more than 25 years. Julie created Julie L Rhodes Consulting 15 years ago where she undertakes a wide variety of efforts, as well as works with a broad spectrum of clients on research, project development, fundraising, public education and policy. Rhodes recently spent 18 months launching the City of Austin’s Recycling Economic Development program during a brief time away from consulting. Prior to becoming self-employed, Rhodes led the Indiana Department of Commerce’s Recycling Market Development Program, and served as Executive Director for the Association of Indiana Solid Waste Management Districts, the Reuse Development Organization and the National Furniture Bank Association; and as chair of the MidAmerica Council of Recycling Officials and the Indiana Governor’s Appointee to the Council of Great Lakes Governors Recycle Board. She served for three years on the National Recycling Coalition (NRC) Board of Directors where she was Treasurer for two years, Board Chair for one year, Co-Chair of NRC’s National Sustainable Materials Management (SMM) effort, and helped develop the National SMM Action Plan. Rhodes has also served on the founding board of the Indy Food Cooperative/Pogue’s Run Grocer, and on the boards of the Indiana Recycling Coalition, Earth Day Indiana, the Cottage Home Neighborhood Association and others. Julie is community-minded and driven towards positive change. She resides in Indianapolis, Indiana, with her husband, son, two rescued dogs, one rescued cat and eight urban chickens.